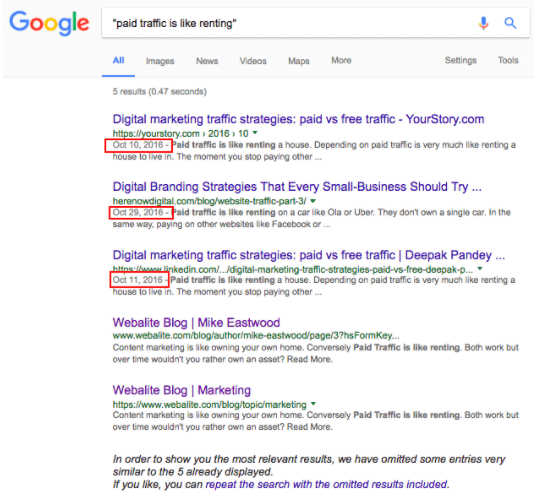 What can one say that hasn’t been already said in the good ol’ paid ads vs organic traffic debate? Perhaps that Paid is like renting and Organic is like owning your lead generation. Most every blog or white paper I’ve read on the subject ends like this: marketers should do both. And I agree, but up to a point. Paid traffic isn’t for everyone. Saying you need to do both misses the point. What we’re really talking about here is how to own your lead generation: marketing asset vs marketing expense. Hanapin Marketing’s 2015-2016 State of PPC report shows Adwords budgets will grow 75% in the next 12 months. In midst of all this, eMarketer reports Google will make $73.8 billion in net digital ad sales in 2017, a 33% market share. Facebook is a distant second at $36 billion. 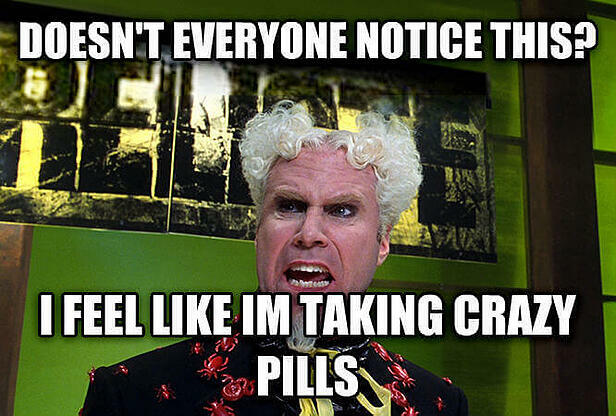 Like this guy below said: am I taking crazy pills here? I’m not saying paid ads are the devil. What I’m saying is the AdWords auction system is working extremely well for Mr Google. Search Engine Land reports branded-search costs have increased since Google's right-hand rail update in early 2016. 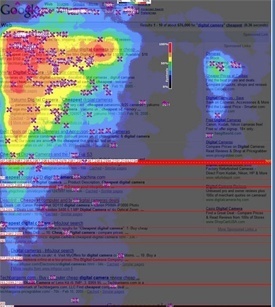 (Before the switch researchers used heat maps and found searchers' eyes focused on the top organic results, barely noticing the ads to the right. 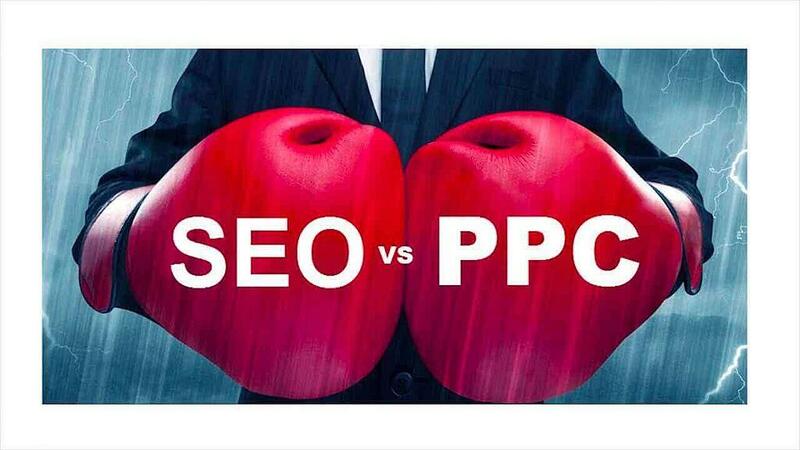 The most expensive keywords in AdWords and Bing Ads cost $50 or more per click. The average small business using AdWords spends between $9,000 and $10,000 per month on their Google paid search campaigns. That's $100,000 to $120,000 per year. If you’re spending $50 million on Adwords and your top competitor ups their bid to kick you out of the search results, you have a bloody bidding war on your hands. If you’re an average small business and your budget is tight, it’s not scalable. A 50 cent increase in price can throw your entire strategy out the window. There are many factors pushing AdWords Prices up. Keyword competition, customer lifetime value, views, impressions, clicks, bidding strategy, etc. But the bottom line is this: you always need to outbid your competition and your landlord –Google– is the one in control. The price always goes up, so you’re forced to either up your bid or find cheaper keywords, which don’t necessarily rank as well as the ones you already use. Hence, paid traffic is like renting your lead generation. But let’s talk about owning your lead gen at a comparatively much, much lower price. Online qualified lead generation is a numbers game. We all know the statistic: the average conversion rate is around 2%, and this is considered good. This means to bring 100 visitors to my business/website to get two clients. Thing is, not all visitors and conversions are created equal. If you want to create awareness and quick conversions, Adwords does makes sense to attract B2C BOFU traffic. Let’s imagine you wake up with a monster craving for schezwan sauce (also known as schezchuan sauce). The first thing you’d do is google "schezwan sauce recipe”. I don’t know about you, but I’d click on the bottom one. It’s more relevant: it’s useful and gets me what I want, whereas the top one is brand-centered. The first one is about your product. The second one is about me –the consumer. Just look at the image below, courtesy of Marketing Sherpa. So think about it: if your paid ads aren’t converting maybe it’s because of relevance –what’s important to the consumer. In this hypothetical case I know what I want, and go to the guy who can give it to me first or at the best price. So far so good. But there are some B2C transactions that require some research. Here is a real life example I found. Out of four ads, only one is relevant: the second one. It’s more detailed and points to value. Paid ads are critical for advertisers because they account for 64.6% of clicks when people are searching online to specifically purchase something using high intent keywords. But I’m not ready to make a decision yet. I need to see what’s out there first. I need to compare. So naturally I click on the second organic result, which really answers what I asked Google in the first place. But my real problem is the first ad. It’s there because I used the word “photography” –a high intent keyword. But it has nothing to do with my search. So why is this company wasting advertising money on me? Well, the reality is 71% of B2B researchers start their research with a generic search. What’s more, nearly half are millennials, not in the c-suite and they influence purchase decisions. And B2B buying decisions are research intensive. Salesforce says it takes 6 to 8 touches to generate a viable sales lead. 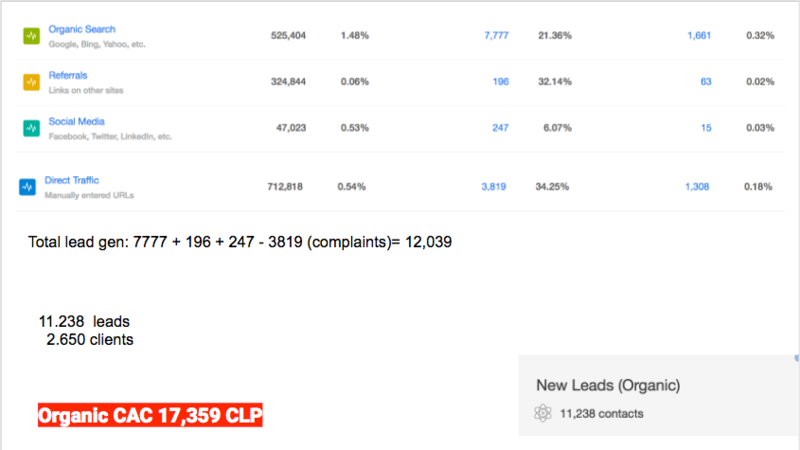 Leads, not clients. This means no paid ad will influence my buying decision after six or eight touches with a potential provider. I will very likely be off Google by then. And If I go back it means I’m at the top of the funnel again, looking for something else. So why is your ad following me everywhere? Why am I still seeing ads for schezwan sauce or Nikon cameras? If my mom borrows my work computer and sees your ad, is she going to buy your product? Looking at it this way, it’s no wonder why SEO leads have a 14.6% close rate (i.e. better qualified), while outbound leads (such as direct mail or print advertising) have a close rate of only 1.7%. As an online outbound channel, Adwords is like a street billboard in your computer screen. Meanwhile, Business Insider reports ad blocker usage is up 30% in 2017. So why are some companies still spending money in stuff no-one wants to see? This is an interesting question. I like to think of Google as an oracle that answers my questions –with a classifieds/billboard section. And it’s a relevant one because Google may know where you are (your URL) and what you’re searching for, but it doesn’t really know who you are or what you want –yet. Google Analytics can tell you where your traffic is coming from, but it doesn’t tell you who’s actually clicking on your ads. The only way to tell is to capture data on a landing page. and/or product sales? PPC is the way to go. 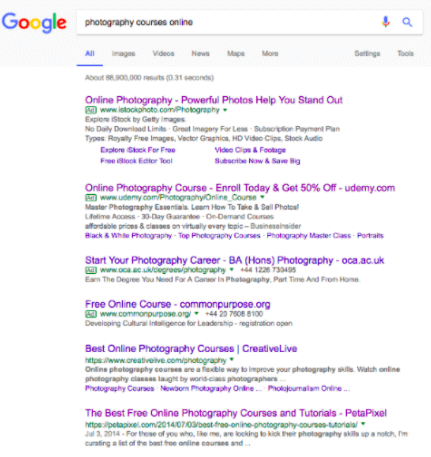 But if you’re not a retailer, PPC probably isn’t for you. Do you want **short-term** conversions, testing, and/or product sales? PPC is the way to go. 50% of people arriving at a retailer’s site from paid ads are more likely to buy than visitors who came from an organic link. Also, the quality of leads generated via either of the channels can vary significantly because of your keyword strategy. If you aren’t generating many leads make sure you’re using **relevant topics** in your content and paid ads. You gotta know your audience. It’s in your business’s interest: SEO delivers a lower Cost Per Lead than any other paid advertising platform currently available. So the real question is: am I paying for leads I could acquire organically? 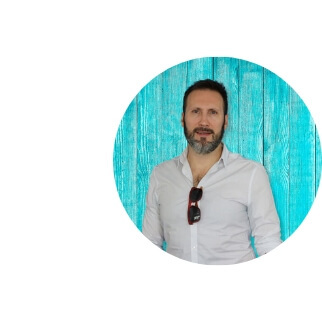 Before I go, I’d like to share with you a very interesting real-world case that beautifully highlights why paid is like renting and organic is like owning your lead generation. 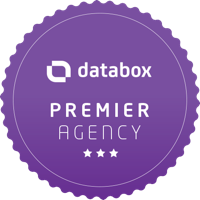 At IDS Growth Agency we’ve been working for a mass-market, non-retail client in Chile for a little over a year. We ran a eight-month experiment to boost lead generation. And, boy, do things get interesting when you compare Client Acquisition Cost of paid ads vs Client Acquisition Cost of organic traffic. 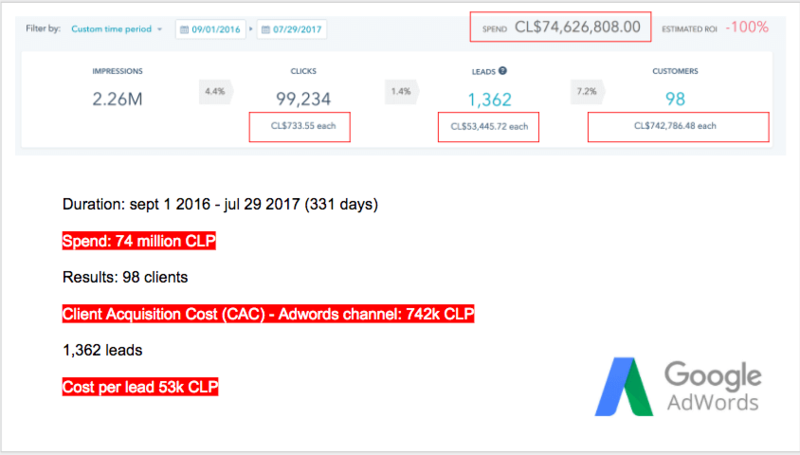 Contrary to our advice, the client spent 76 million CLP (a little over $126k) in Facebook and Adwords to acquire 115 clients. 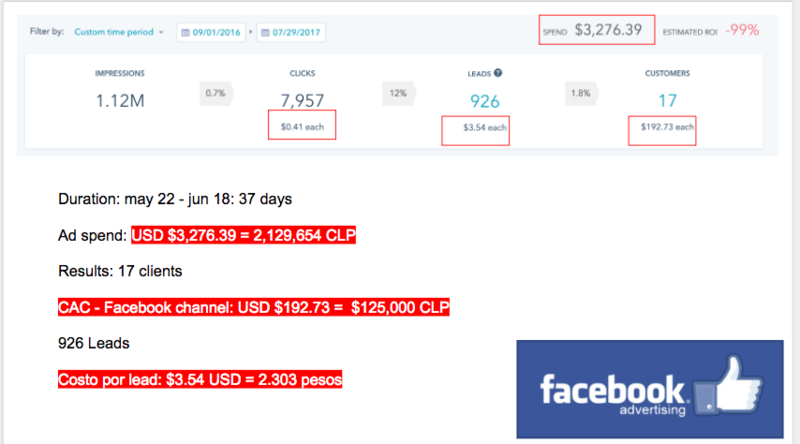 That’s a CAC of $1,146 on Adwords and $192 on Facebook. However, when you look at our client’s Organic Traffic Lead to Client Conversion and Organic Traffic CAC the spend plummets to 17,359 CLP (just $27.4) for more than 1,6k clients. So the takeaway is organic CAC 41x cheaper than Adwords and 7x cheaper than Facebook ads for this client. Owning is clearly cheaper. I’m no marketing guru and certainly don’t want to get on Mr. G’s bad side here. However, I do think many non-retail companies are wasting a lot of money in Adwords. Having said that, I don’t recommend you quit paid cold turkey if it’s your only or main lead gen source. The key to getting good quality leads is answering the questions they ask Google. That’s something no ad can do. Start creating quality content and reduce your paid traffic spend as it starts indexing. What I’m saying is: use Google to the advantage of your business, not Google’s. Organic belongs to you, and it’s cheap. Ads belong to Google and they’re getting more expensive. The key to quality leads is answering the questions they ask Google. That’s something no ad can do. That’s the difference between owning and renting your lead generation. That’s the difference between a marketing asset and a marketing expense. I hope you find this article useful. I had a blast writing it. I’m really interested in your opinion, so do send your comments my way. You can find here: renzo@ids.agency.